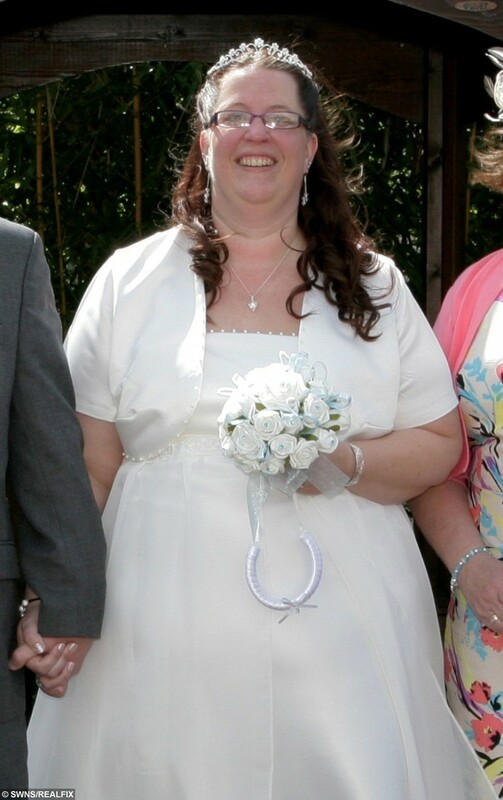 A mum-of-seven says she has shed a whopping 11 stone by dropping chips – and picking up KNITTING. Dena Harrison, 42, swapped unhealthy snacks for knitting needles and lost half her body weight after fearing she was heading for a heart attack. She weighed a hefty 22 stone in February 2014 when she felt shooting pains down her left arm on a trip to the supermarket. She came up with her novel way of keeping her mind off bad foods by taking out the needles for an hour each evening to keep her hands busy. 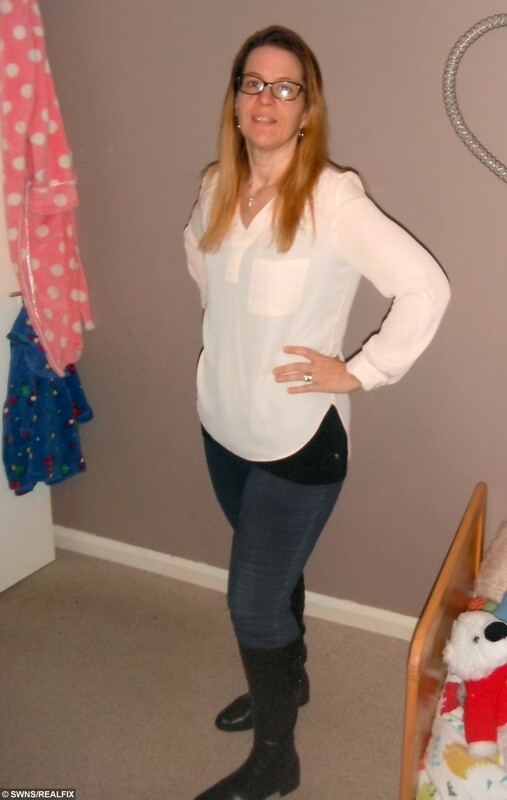 She is now 11st 8lbs – less than a stone away from her target weight of 10st 11.5lbs. 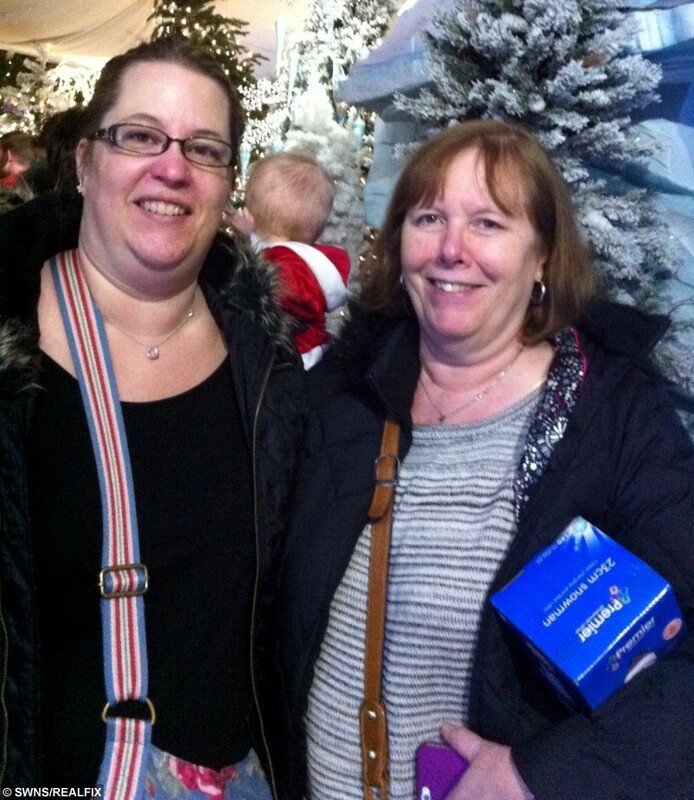 Dena Harrison with her mum Geraldine Gellard. Dena, a full-time carer for her husband, Darren, 48, who has learning difficulties, said: “I can remember being in the supermarket and I could feel these pains in my arm. Dena said as a carer and with seven children aged from two to 24 she found it hard to always find time to prepare healthy meals. She added: “I just thought I could eat whatever I wanted. 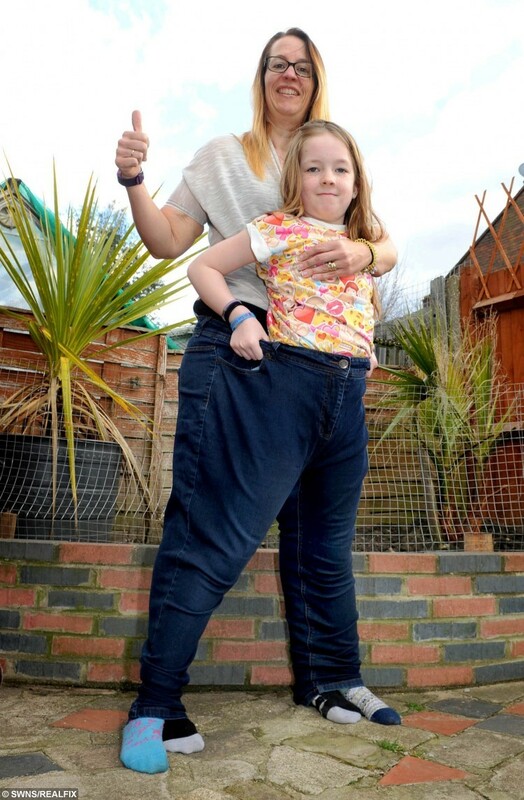 Dena Harrison in her old trousers with her daughter Ciara Weighill. The day of her scare in the supermarket she was so shocked she joined a Slimming World group near her home in Surbiton, south west London. 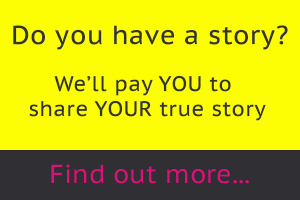 Dena said: “I looked online for slimming groups and found Surbiton Slimming World met that evening. “I knew I couldn’t put myself in the grave when I had children, I had to go that night. Dena Harrison on her wedding day in 2012. Dena set herself the ambitious target of losing half her bodyweight and didn’t look back. For the past two years she has walked almost six miles a day as well as giving up unhealthy takeaways. She said: “Whenever the kids had takeaways, I always used to eat them. I used to love pizza. “It was my children and I had to be there for them. 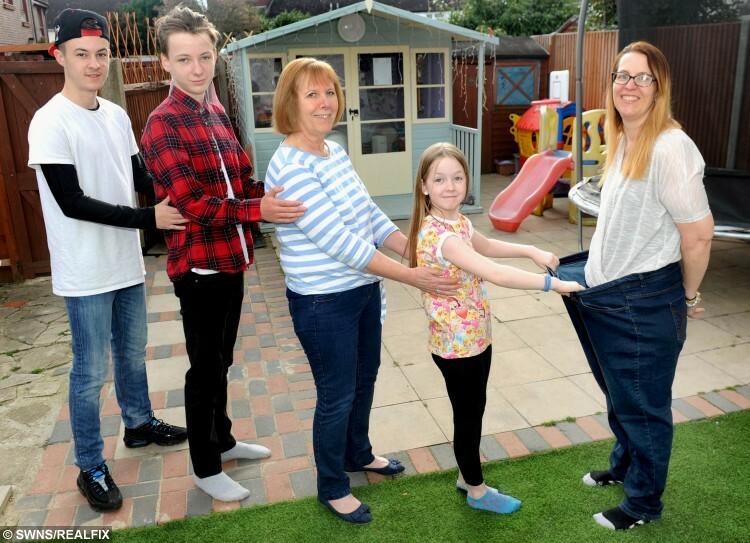 L to R Joe Weighill 16, Connor Weighill 14, Geraldine Gellard, Dena’s mum, Ciara Weighill 9 and Dena Harrison in her old trousers. A couple of months into her slimming regime, Dena’s mum Geraldine Gellard started knitting, prompting Dena to pick up the hobby. She said: “I’d always been able to knit but it used to be just if someone I knew was expecting a baby. 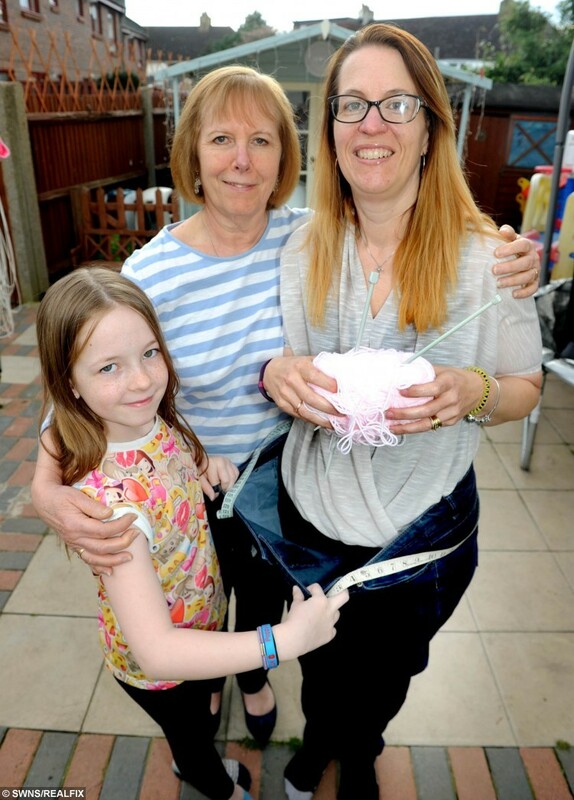 “Now I knit for an hour or two every evening once the kids have gone to bed. After collect of Dena Harrison from Surbiton, south west London who has lost 11 stone. “It just keeps my hands busy. I knitted elves for all seven of my children this Christmas and I have knitted a blanket for my niece or newphew who is going to be born in May. Next article » I can't believe he got ripped like this eating 10,000 calories in one sitting!